When you decide to buy a diamond ring, the first things you need to know about are the four Cs. They are – cut, carat, clarity and colour. The price of a diamond depends on these four factors. What kind of a diamond you want and how well you want it to be ranked on these four points will determine the price of the ring. Once you know the four Cs, you should settle your budget. Diamonds can be expensive and you have to decide how much you can spend on a single ring. 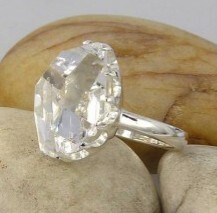 This will help you understand how much you want in carat, cut, clarity and colour. It is very easy to like something that is expensive. If you stick to your budget and do a little research, instead of buying it at the spur of the moment, you will get some beautiful designs. If you have been planning on getting an engagement ring for some time now, it helps if you ask your to-be-fiancée for some idea. Ask her what she would want in her engagement ring. If she doesn’t give any hints, take her to a jewelry store to buy something and see which rings she likes and checks out. This will give you an idea about what she wants. The bride-to-be may not always be willing to give you details, or you may want to give her a surprise. In such a case, you have nothing to fall back on. This is when you should ask around and learn more about diamonds and designs and the latest trends in engagement rings. Read up the bridal magazines online and research on the web. Ask your friends and family to help you with the ring shopping. Before making the purchase, ask the jeweler to provide you with a grade card. This card will testify that the diamond is an original and you are getting exactly what you are paying for. Also, ask for the fingerprint, which is a three dimensional figure of the diamond you have purchased and shows the fours Cs along with blemishes and inclusions, if any. Do not purchase a diamond if you do not have these two documents. Follow these easy steps and you will be ready to purchase a genuine good quality diamond. It can be a little unnerving when you are out ring shopping, so it helps if you have a good friend helping you out.